For the first time, Continental has created Generation 3 tire treads for cold retreading, with its two new treads, the Conti CityPlus HA3 and Conti Urban HA3, being specifically designed for use in passenger transport. 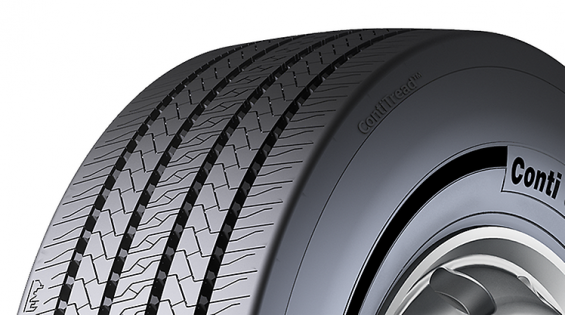 Like the new tire from Continental, the Conti CityPlus HA3 tread has pronounced longitudinal grooves that ensure optimum handling and performance in the wet in long-distance traffic. Full-depth 3D sipes give additional grip and a consistently high braking performance throughout the tire’s service life. For cold retreading of tires on city buses, Continental offers the Conti Urban HA3 tread with M+S (Mud and Snow) labeling. The Conti Urban HA3 tread compound, together with its tread design of deep sipes, is specially designed for urban use and provides optimal lane-keeping capabilities, even in very wet conditions, an extremely low rolling noise as well as a high level of driving comfort. With its proven reliability in construction-site traffic, the HDC1 tread is now available in the HDC1 (M) variant. The new tread has a lower tread depth than its sister model, offering a more cost-effective alternative for efficient use in construction-site traffic when used as a tire with lower performance expectations based on its application. In the goods transport segment, the successful tread HTL1 Eco Plus is now also available for trailer tires in size 445/45 R 19.5. This is Continental’s response to the growing demand for tires for high-volume transport – and the company is now offering its powerful ContiTread™ treads for cold retreading in this segment. And just in time for the upcoming winter season, Continental is also offering winter tire treads for cold retreading. The drive axle tread HDW 2 SCANDINAVIA with M+S label is available in the important tire sizes 315/80 R 22.5, 315/70 R 22.5, and 295/80 R 22.5. The ContiTread™ winter range is rounded off with the HTW 2 SCANDINAVIA winter tire tread for trailers and semitrailers in sizes 385/65 R 22.5 and 385/55 R 22.5. 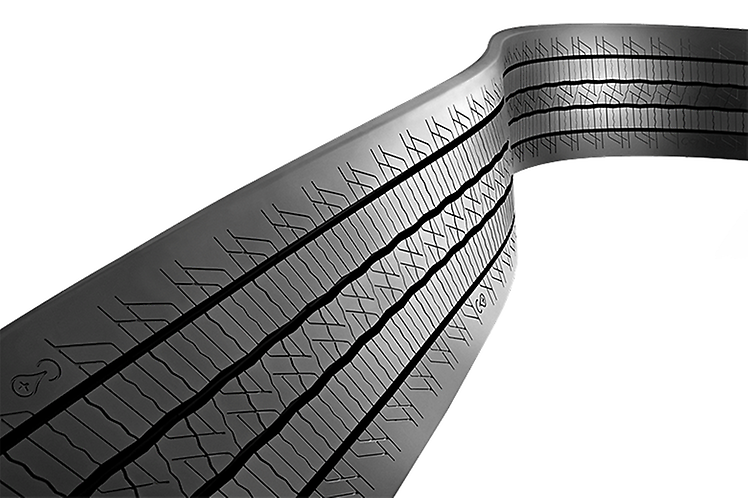 All ContiTread™ treads are based on the same tread designs, compounds and technologies used for new Continental tires, ensuring they provide comparably similar performance to new tires whilst also saving costs and resources. All ContiTread™ treads are optimally designed for use with Continental carcasses. However, they also achieve very good results on the carcasses of other premium manufacturers. ContiTread™ is part of the modular ContiLifeCycle concept, where Continental supplies its customers with cost-effective service solutions throughout the entire tire life, from new tires through regrooving, casing management, to retreading. In addition to the significant cost savings for the end customer, retreading is good for the environment, as valuable resources such as crude oil, natural rubber, and water are consumed in far smaller quantities. A considerable amount of CO² can also be saved, as retreading requires up to 70 percent less energy compared to manufacturing a new tire.